I know the "Star Trek holosuite" will probably not be a reality in my lifetime (but hope springs eternal ;-)). It's a pity because I've always wanted to explore strange new worlds, To seek out new life and new civilizations, To boldly go where no man has gone before......erm! Back on topic! As we are not yet in the Star Trek universe or even the virtual world of the "Lawnmower Man" the next best thing is exploring cyberspace with the help of virtual reality headset. Stephen Jones, AmigaONE X1000 owner and AROS champion, directed me to an exciting project on the Kickstarter website which aims to create a new virtual reality headset designed specifically for video games. 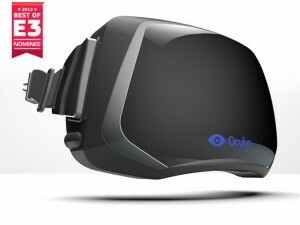 The developers claim that the new headset, Oculus Rift, has "an incredibly wide field of view, high resolution display, and ultra-low latency head tracking" providing the wearer with "a truly immersive experience that allows you to step inside your favorite game and explore new worlds like never before." 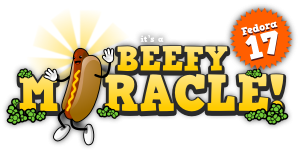 Bold claims indeed, but judging by the overwhelming response from the gaming community they might just be on to a winner? At the time of writing, with just under 2 hours to go, the developers have already exceeded their $250K funding target with a massive $2,417,751pledged by 9,445 backers so far. "Step inside your favourite game"
Thanks to "First Contact" owner Pat Wall, the latest PowerPC64 beta version of Fedora 17, codenamed "Beefy Miracle", can now be installed on the AmigaONE X1000 This makes Fedora the 7th GNU/Linux OS that can be installed on the A1-X1000 alongside the AmigaOS. In 2008, Linus Torvalds, author of the Linux kernel, stated that he used Fedora because it had fairly good support for the PowerPC processor architecture, which he favoured at the time. Although Fedora for PowerPC is now a secondary architecture, Red Hat, its major sponsors, still have a full time Release Engineer dedicated to Power support. 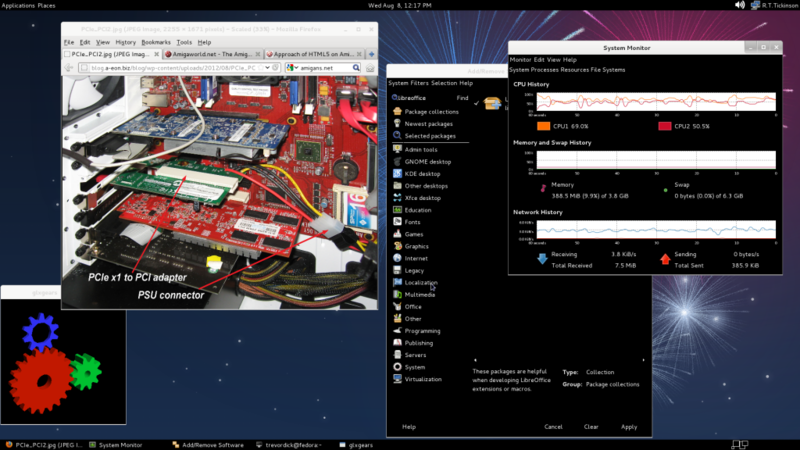 To help simplify the installation of Fedora 17 on the AmigaONE X1000 Pat has created a special pre-configured tarball. As it's based on the latest PowerPC64 beta version Fedora 17 is definitely WIP, but even at this early stage it supports 2D/3D hardware acceleration for Radeon HD graphics cards thanks to the excellent work of AmigaONE X1000 beta tester Darren Stevens. It's a-live: MintPPC 11 - Jumping jack Flash! Continuing with the Linux theme, Pat Wall has also produced a Live version of MintPPC 11 which runs from an 8GB USB Flash drive. 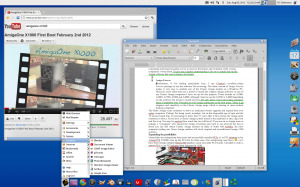 The Live version allows AmigaONE X1000 owners to sample the "delights" of MintPPC 11 without installing Linux on their HDD or disturbing their AmigaOS 4 set-up. I've been testing a beta version of the Flash Drive installation and am impressed by what I have seen so far. 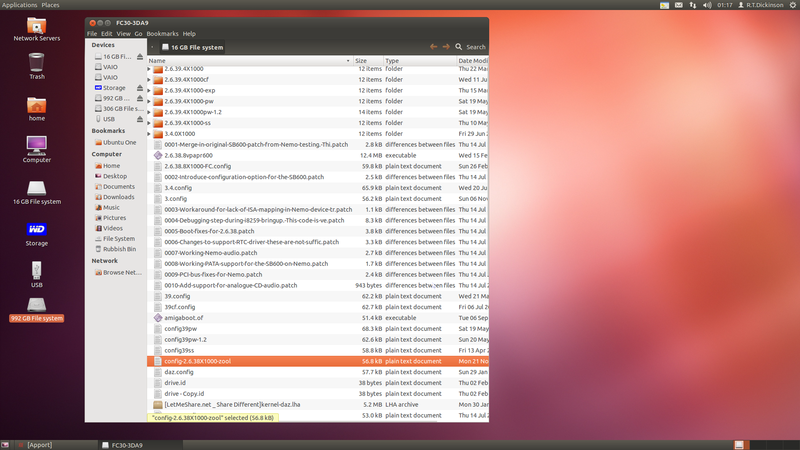 Pat is adding a few more tweaks and features before we release it to the A1-X1000 beta test team. The performance, while not as nippy as a full HDD install, is never-the-less acceptable and will allow anyone to try out MintPPC on their A1-X1000 without installing any software. However, unlike a Live Linux CD-ROM, MintPPC on the USB Flash drive can be customised to suite individual requirements with a massive range of free Linux software available to download. Again 2D/3D Radeon HD hardware acceleration is supported out-of-the-box. Although the Live MintPPC version will fit onto most standard 8GB USB flash drive, larger Flash drives can also be used and the MintPPC partition expanded to take advantage of the additional storage space. You can even install the Live MintPPC partition to a USB HDD which really speeds up the performance and gives you the space to create a fully loaded Linux system without all the hassle of a performing HDD install. Over the past couple of weeks I've spent a lot of time testing the new AmigaOS 4 Radeon HD graphics driver with a variety of 5xxx & 6xxx series Radeon HD cards. I'm pleased to report that AmigaOS 4 has worked well with all the cards I've tested to date. Gizmag Magazine, a webzine covering invention, innovation and emerging technologies in computing communications and automation has published an article on the AmigaONE X1000. In a generally positive review the author Adam Spring writes, "Motorola and PowerPC chip driven computers like the Amiga have widely been confined to the annals of computer history along with their perceived end note: Apple’s move to Intel chips in 2006. What happens, however, when large scale manufacture of such systems is replaced by the desires of enthusiasts to keep a dream and operating system alive? 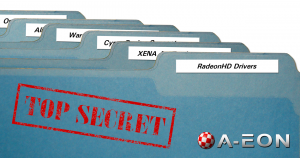 The answer is AmigaOS 4 and AmigaOne X1000." I can only agree with him! Although most of my time is devoted to "Next-Generation Amiga" systems I still find time to power-up several of my Classic Amiga computers, particularly when I'm writing one of my Classic Reflections articles for Amiga Future magazine. Each article requires a lot of time consuming web-based research as I try to uncover the history and evolution of the various companies I write about. To give me a greater understanding I also try to install and run the Amiga software that each company developed. Sometimes, if I'm feeling particularly lazy, I use Cloanto's excellent Amiga Forever package to test the software I'm reviewing. The latest version of Amiga Forever makes it very easy to emulate any of the Classic Amiga models on a Windows PC. However, more often than not, I prefer to install the original Amiga software on one of my Classic Amiga computers I have set up for this purpose. These include an A1000, A2000, A3000 and A4000, although I tend to use the A2000 or A4000 depending on the software I'm trying to install and test. It's only when I start using these machines again I remember why I became an avid Amiga enthusiast in the first place. 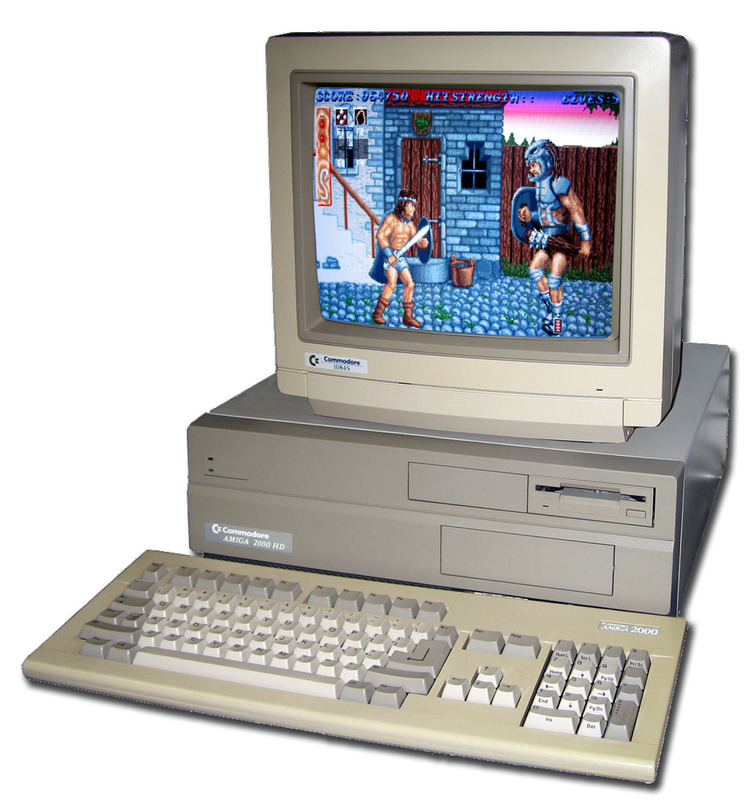 There is an elegance and simplicity to the Classic Amiga range which is missing in most modern desktop computers. There is a thriving Retro Amiga scene as dedicated owners upgrade and expand their ever aging Amiga computers. Perhaps I'm being overly nostalgic, but in this disposable age of spin and the 10 second sound bite, it's reassuring to know that 27 years after it first release the Amiga spirit continues to thrive. 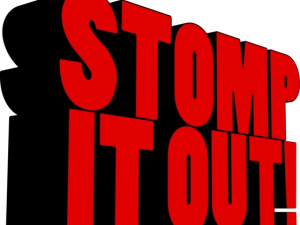 If you have a Classic Amiga system stored in the cupboard or attic, dig it out and fire it up. You may be suprised how much fun you will have? If you are an ex Amiga users or perhaps a "youngster" who missed the Amiga revolution and want to see what all the fuss is about, buy a Classic Amiga systems on eBay or better still AmiBay, the retro computer trading site. Some Amiga retailers still stock original and reconditioned Amiga 1200 systems. 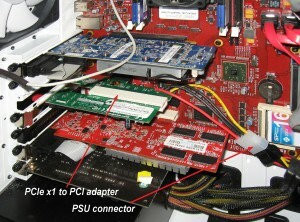 I heard that one enterprising beta tester had successfully installed PCIe x1 to PCI adapter in his AmigaONE X1000 to free up the PCI slot for other uses. (for enterprising read 'brave'. ;-)) As I have been testing multiple RadeonHD graphics cards and other PCI boards I decided to order a generic PCie x1 to PCI adapter from Amazon for <$30. Talking of graphics cards, AmigaOS 4.x graphics guru Hans de Ruiter has continued to update his RadeonHD driver. Version 0.53 has just been released to AmigaONE X1000 betatesters and now includes full VRAM buffer management. The driver can now handle 3D drivers allocating more buffers than fits in VRAM. 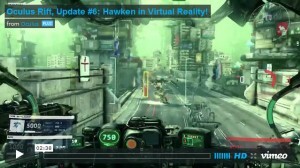 To demonstrate the new features Hans also released an impressive fly-through 3D animation for RadeonHD 2000-4000 series graphics cards. 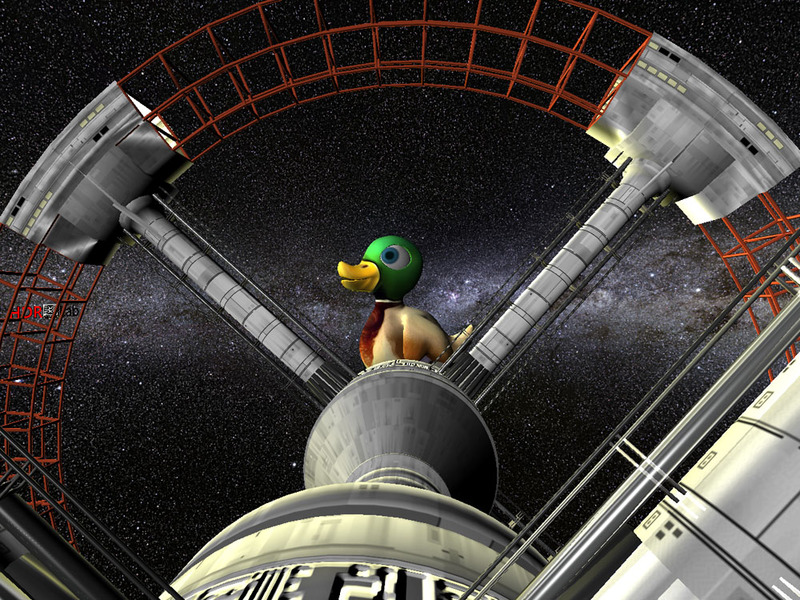 The animations, whose textures and geometry take up more space than is available in VRAM, includes an eclectic selection of 3D rotating objects including a Lotus sports car, the space station from '2001 A Space Odyssey' and a giant duck! According to Hans, this version is now fully ready for the 3D drivers. It's OS4 Jim, but not as we know it! Anyone who reads my blogs knows I'm into all things "Amigan" whatever the flavour, so when I heard about a new an operating system called OS4 I thought I'd better check it out. 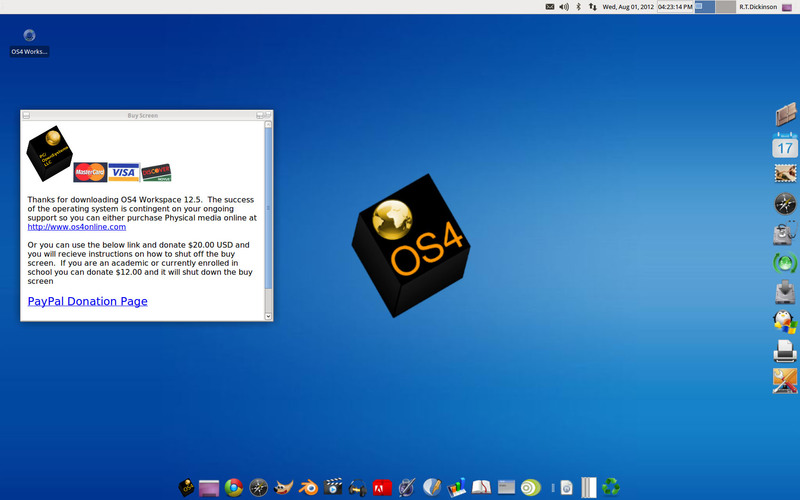 It turns out that OS4 is a customised Xubuntu Linux distribution that started life as PC/OS. According to its creator Roberto J. Dohnert, who himself is an ex Amiga user, OS4 "aims for ease of use and user friendliness and falls into the line of what we call simplified computing". OS4 is based on XFCE, which Dohnert claims is light, modern and powerful desktop which can be used to power the newest workstations as well as older hardware. 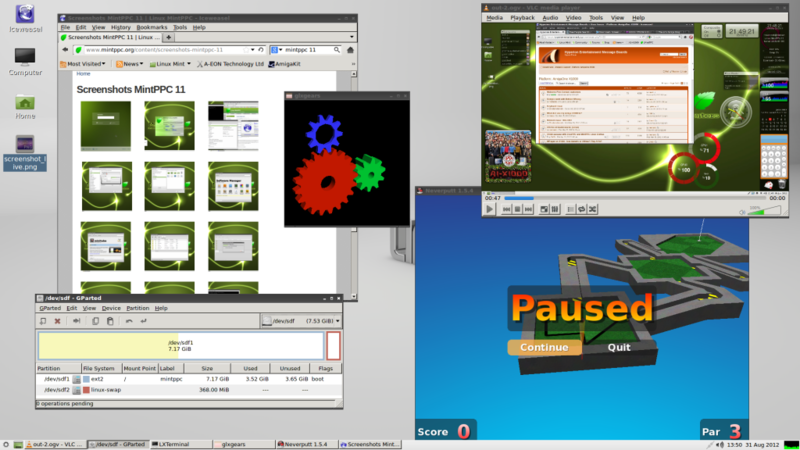 Although its layout may be similar to BeOS, that is where any similarity ends. 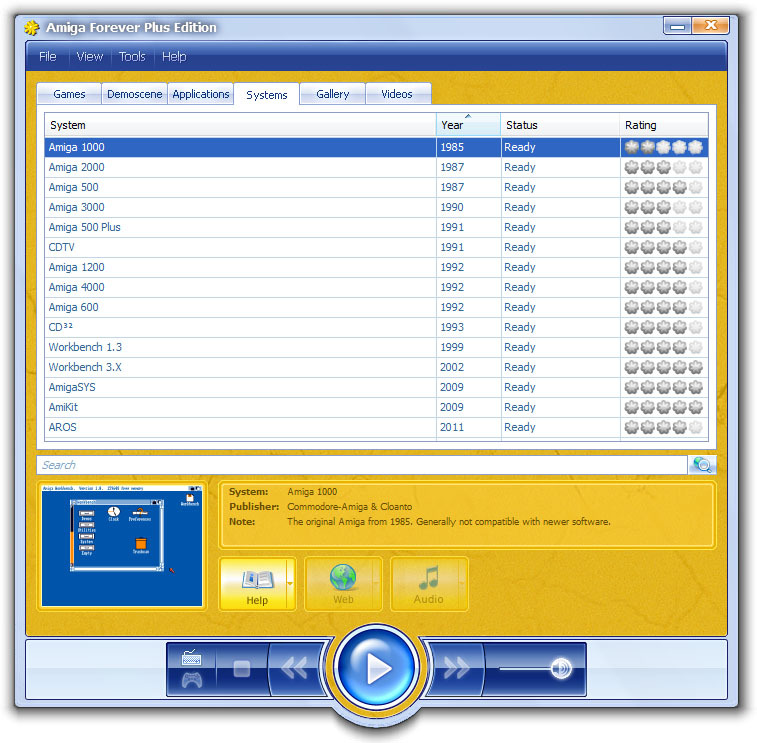 OS4 comes fully loaded with all the standard heavyweight Linux applications such as Gimp, AbiWord, Gnumeric, Scribus along with the Google Chrome web browser and even Wine for running Windows applications and games. The desktop has a very clean and crisp appearance and it did not take me long to configure it to my liking. 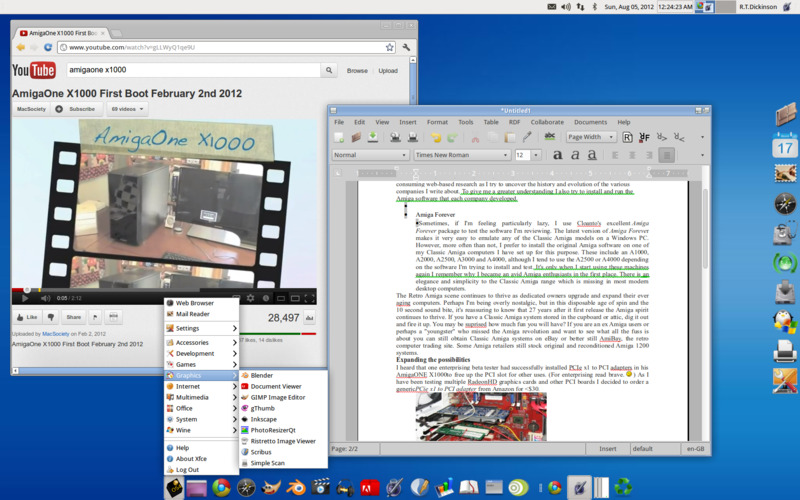 Unlike many Linux distributions OS4 supports multimedia operations like DVD playback and Adobe flash out of the box. So how does it measure up? If you are familiar with Ububtu or Mint you will be instantly at home. Although OS4 can be downloaded free of charge, Dohnert does request an optional $20 donation ($12 for students) to help towards development and running costs. Thanks to Darren Stevens, with special assistance from Lyle Hazlewood (aka Xena Warrior Princess now stop that! 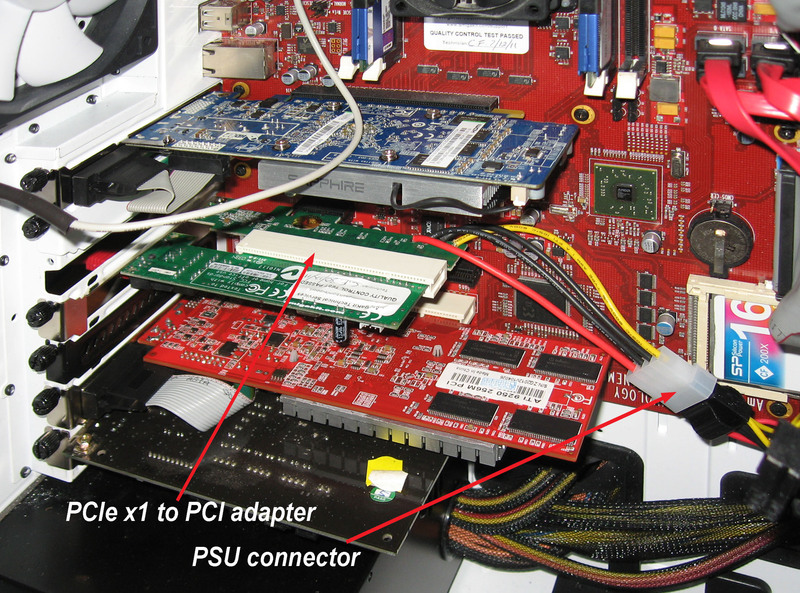 ), AmigaONE X1000 owners can now access the onboard CF port from within Linux. The CF port has always been accessible under CFE (the A1-X1000's firmware environment) and is very useful for booting Linux kernels. With the new CF card driver, users will now be able to access the CF card from within Linux itself, without removing it from the onboard CF port. This is very useful if, like me, you have multiple Linux kernels installed and don't like crawling under the desk to remove the CF card to make changes to the content. 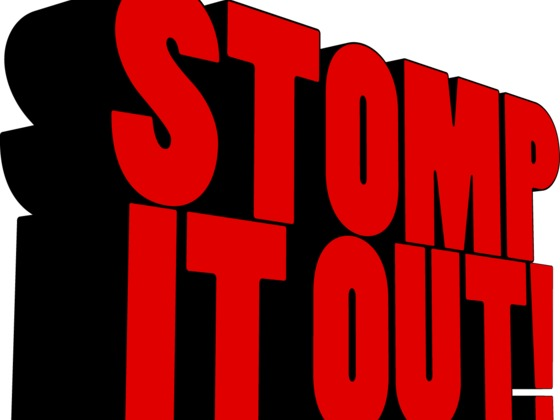 've just learned that Rayne Leafe, the composer of the AmigaONE X1000 boot theme, is raising funds for a feature length documentary about the KYP gumboot dancers, a group of young people from the Kliptown district of Soweto in South Africa.